I'm about to do some more clothing photography, this time with the clothing flat on the floor and the camera looking straight down at the subject. Does anyone have any tips for creating an inexpensive white backdrop for the pictures? The local DIY store has some cheap wide roller blinds available so I was thinking about trying that out. The more space you have the easier this is - firstly you can throw more light at the background to even out creases is your material of choice without it bouncing back onto your subject, and secondly the longer lens you use, the smaller your background can be, to the point where if you're using a telephoto your background only has to be just bigger than your subject. This is easy to fix in photoshop as the background is pure white! Likewise, the edges of the sheet can be fixed. It works best if you can put a little distance between the subject and background, and the key is for the background to be well lit. Basically, you're just trying to expose for the subject and totally overexpose the background. This shot was taken in front of an off-white wall in a somewhat dark room. The bottle was sitting on top of a coffee can (you can just see the lid) about 3 feet away from the wall behind it. I pointed 2 lights at the wall behind, and used spot metering on the bottle. Spot metering allowed the exposure to be set for the front of the bottle, and since the background was 2-3 stops brighter, it ends up completely over-exposed. Since you are trying to shoot down at the floor it gets a little tricky since you can not easily light the background separate from the subject. 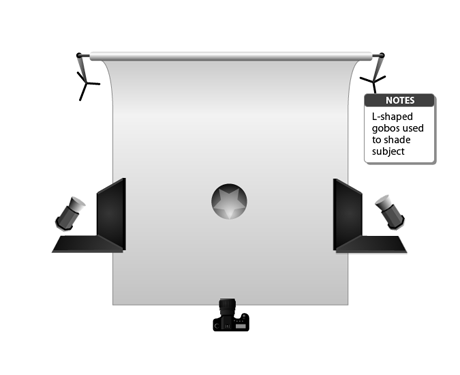 One thing you could try is to use a white translucent plexiglass sheet as a backdrop, and light it from behind. 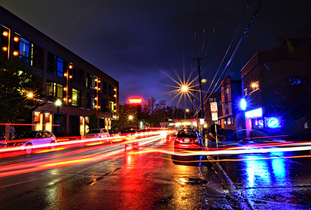 You will need brighter lights this way, but you should be able to achieve a similar effect with a flat surface. I keep a roll of paper table cloth on hand for things like this. Another option is the really good butcher paper but it is not as wide. Photoshop can take care of most of the blemishes that you might find on it. I tend to use plastic table topping, it comes in wide rolls from most DIY stores and costs next to nothing. I have lots of colours that I use for backing. On my first attempt I went to WalMart and got some bed sheets which worked pretty well. I had a hard time finding a good green color to use for greenscreening. I think a twin size flat sheet is around $14 and the king was maybe $35. 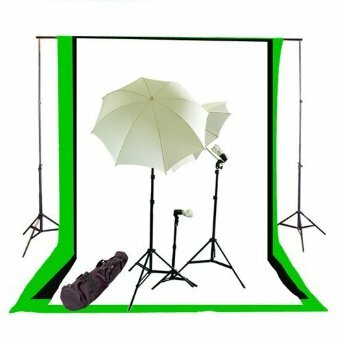 More recently I needed a larger size and happened across the $150 CowboyStudio Photography/Video Studio Triple Lighting Kit which comes with some stands that go up to 8' tall and comes with 10' x 12' backdrops in white, black, and green. It had 4-5 stars and people really seemed to like it after reading the reviews so I opted to give it a try. I was pleasantly surprised - it's not a bad kit for the money. Not the answer you're looking for? Browse other questions tagged product-photography background or ask your own question. How to take a white product on a white background? What lighting equipment should I get on a very tight budget? 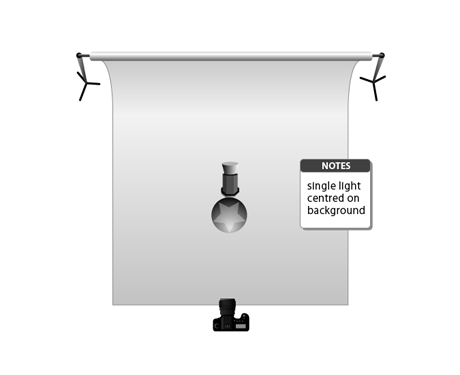 How many lumens are required to achieve a pure white background in a 40cmx40cm softbox? How can I avoid light bleed in a studio shot? How to remove only white background from the image not the white part within the image? How can I photograph a reflective convex cylindrical trophy without reflections? How can I get consistent backgrounds when shooting white objects on white background? What kind of 'guerrilla' background / backdrop is being used in Felipe Dana's Cracklands portraits?